The PFD-12X8-SA Pathfinder 12x8 S-Video & Stereo Audio Matrix Switcher from FSR is a matrix switcher designed for use with S-video and stereo audio signals. It features (12) inputs and (8) outputs. The system is designed to provide flat signals and adequate bandwidth to all connected components to ensure optimum fidelity. 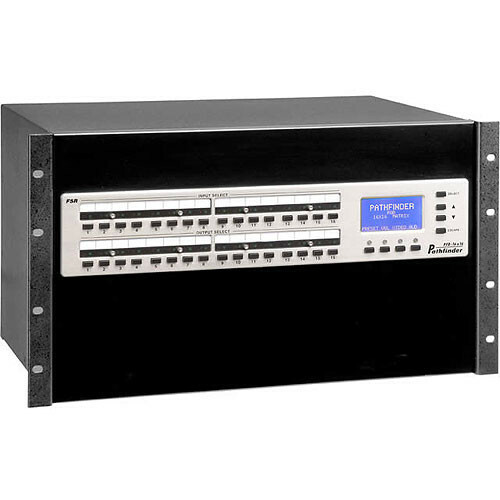 This switcher is well suited for use in video conference rooms, educational facilities, control rooms, monitoring centers, and government institutions, among many other possible applications.